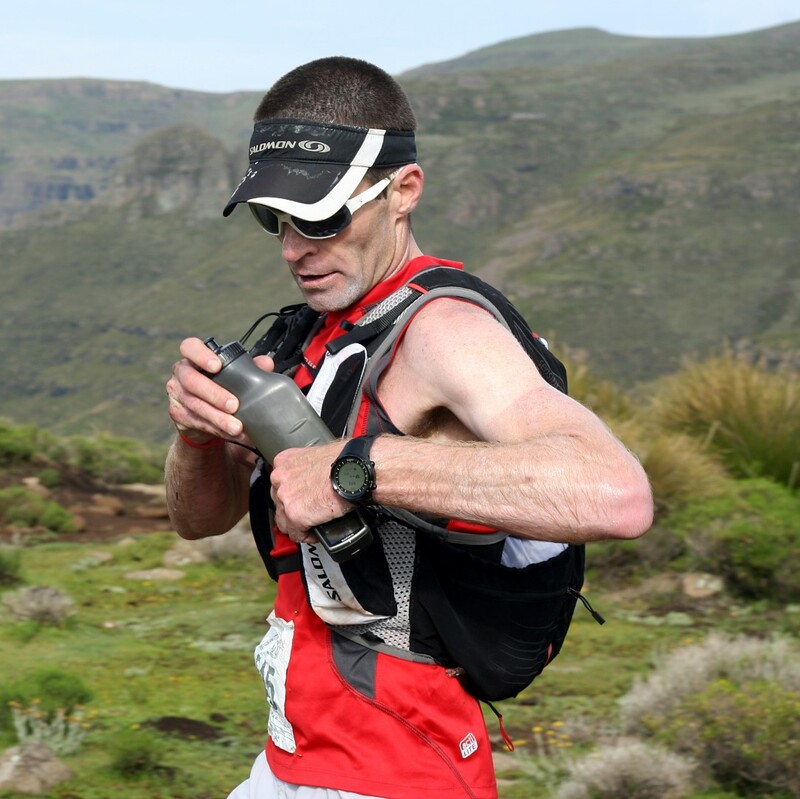 Ryno Griesel has made his name in the South African and international trail running scenes. 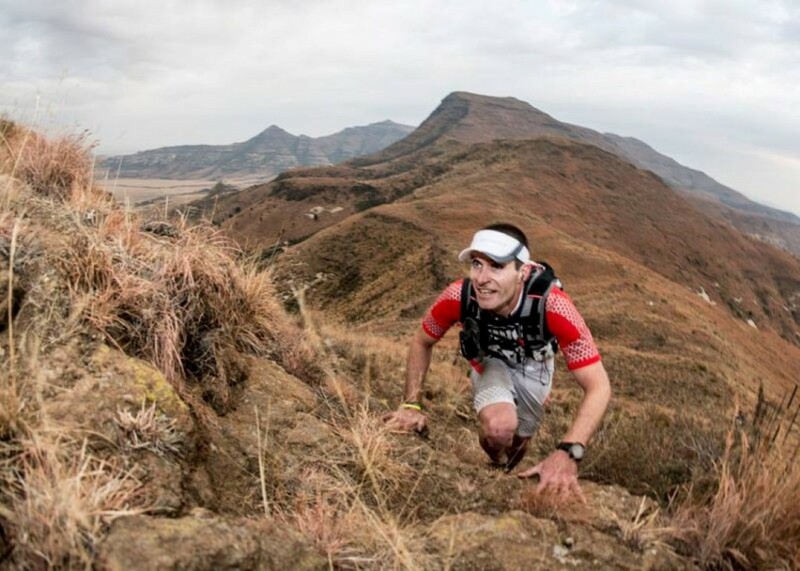 Most recently he broke another record on The Drakensberg Grand Traverse (DGT) with Linda Doke, adding to his already long list of records and podium finishes. I chatted to Ryno recently about the infamous DGT, training in Gauteng and how he maintains a work-life balance. A big thanks to Craig Kolesky and Nikon/Lexar, Kelvin Trautman Photography and Redbull Content Pool, Anja Aucamp, Cobus Van Zyl, Craig Muller and Bruce Viaene for the amazing pictures. 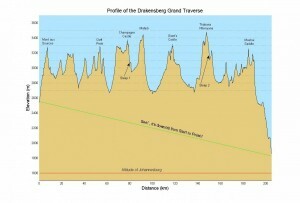 You have done the Drakensberg Grand Traverse (DGT) not once, not twice, but four times! What draws you to this route? 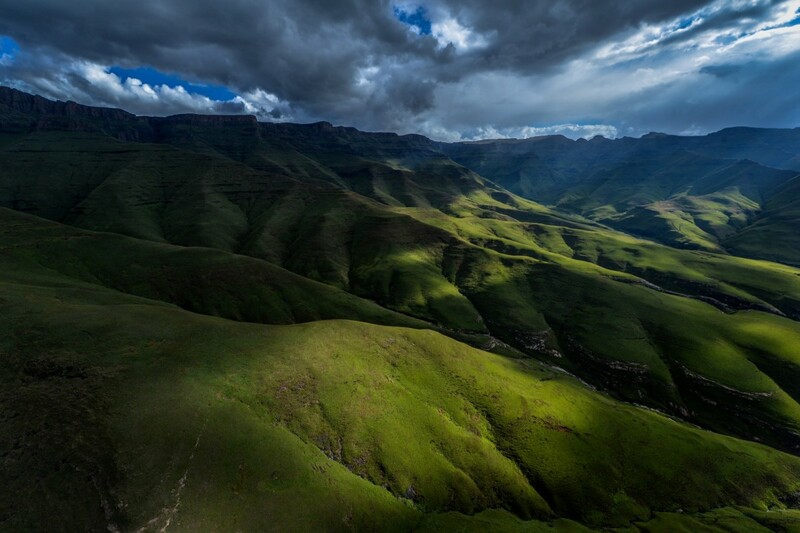 I just love big mountains in general and the Drakensberg is our closest big mountain range to Gauteng. Over the years I have developed a deep love, respect and appreciation for the Drakensberg and I am super passionate about sharing it. The absolute bonus is the strong friendship bonds that are forged up there by battling the rugged elements together. The DGT provides a nice logical way of experiencing the mountain. 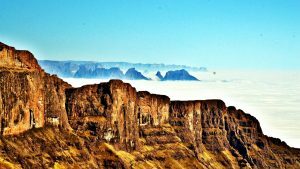 I do however just hike, camp and climb (including Ice Climbing) in the Drakensberg with my wife, family and friends as well. I have also been fortunate to experience Mt. Kilimanjaro, Kenya, the European Alps and the Himalayas. Almost every time you have run this route you’ve broken the record! Tell us more about the attempts, the latest being a mixed race with Linda Doke. 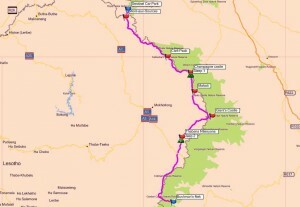 The first full attempt by Cobus and myself in March 2010 was really just to explore the full route and we did not get to focus on the record too much. 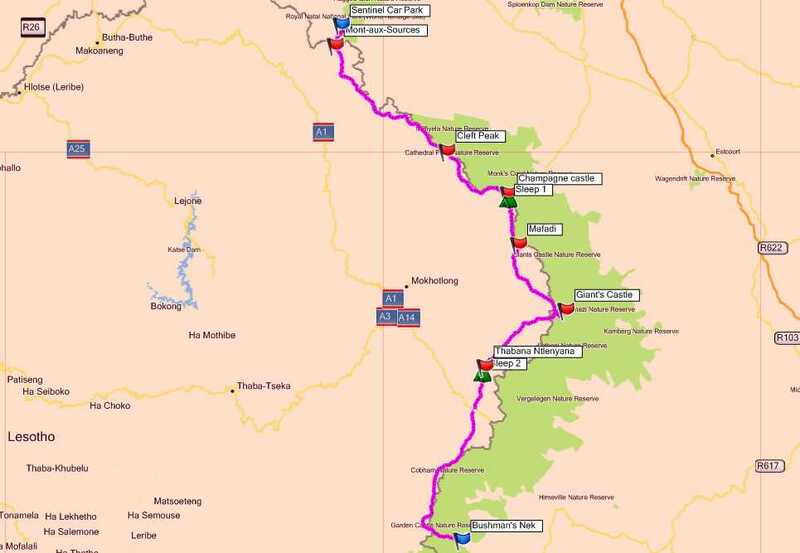 With following an Adventure Racing approach of relentless forward motion, Cobus’ good navigation and being blessed with good weather we did manage to just sneak under the record at that stage of 61h24min (still the solo record held by Andrew Porter) as we finished in 60h29min. After this the hamster wheel started turning… thinking how fast can it be done 🙂 Ryan Sandes and myself then spent a significant amount of time preparing for an all-or-nothing fast and light running approach as opposed to a fast-hiking AR approach. We were blessed with having a great bunch of people supporting our dream, including our very experienced friend Cobus heading up our technical back-up team and also having Red Bull supporting the project. This enabled us to also film and share the magnificent beauty of the berg with an international audience through “Travailen” as brilliantly documented by The African Attachment. Ryan and I were fortunate to cover the DGT course in 41h49min. Back-tracking a bit, Linda asked me in January 2013 to do the DGT with her. I was super excited but we postponed in a bit to allow for proper preparation and also with Ryan and my attempt happening in between. 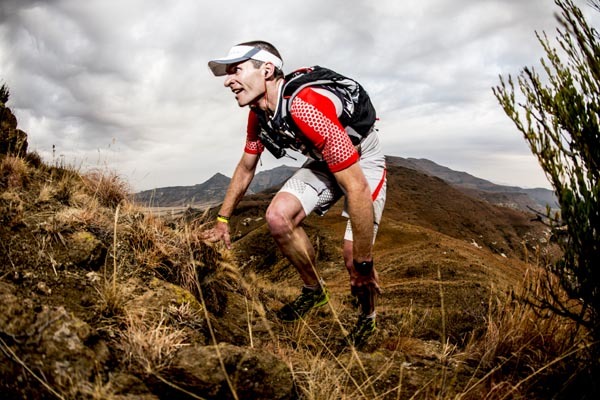 We then attempted the standing mixed record of 78h57min set by Merrell Adventure Racing team in November 2014 last weekend and after being blessed with good weather and health we were grateful to finish off the super tough course in 63h33min. You’ve had an impressive competitive career, which race stands out for you as one to remember? For Exploring and Adventure: racing for 8.5 days non-stop in the scorching hot Moab Dessert (North America) in 2006 and for 8 days amongst the Ice bergs of Patagonia (South America) in 2012. Both as part of Adventure Racing Team Cyanosis. In terms of Performance: placing second at the 24hour Rogaine World Champs (running navigation in teams of two) in New Zealand 2010 with Nicholas Mulder. What motivates you to keep getting out onto the trails? I just love being in the mountains. That is where I feel most comfortable. Running as opposed to hiking allows me to cover more ground over limited time. I am not really too competitive. You reside in Gauteng. 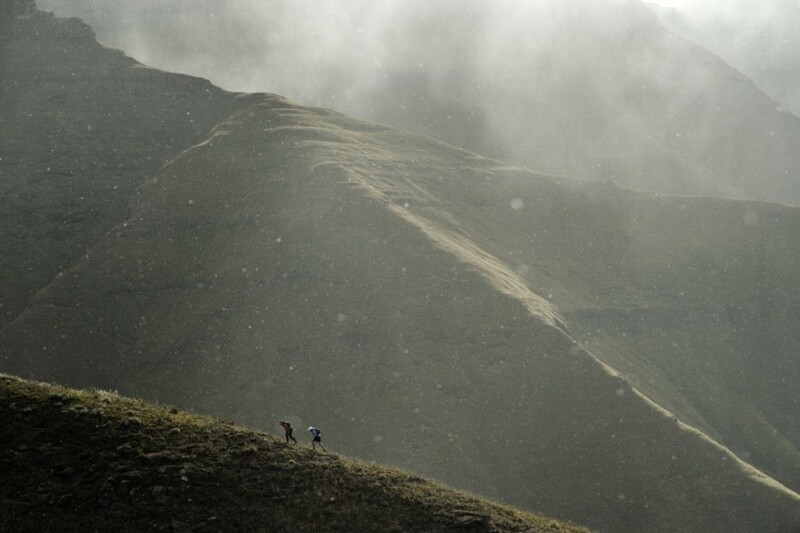 What training do you do to keep up to par with competitors and colleagues who have mountains on their doorstep? Ha! Jip we don’t have too much elevation around here. However I believe that Gauteng makes us tough in other aspects and forces us to be creative. You just make the most of whatever you have in life. 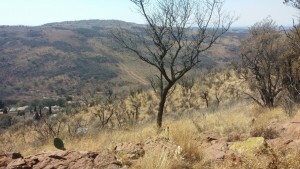 I often drive out to Magaliesberg and run the same hill up and down… plenty times. I don’t really see it as a disadvantage. 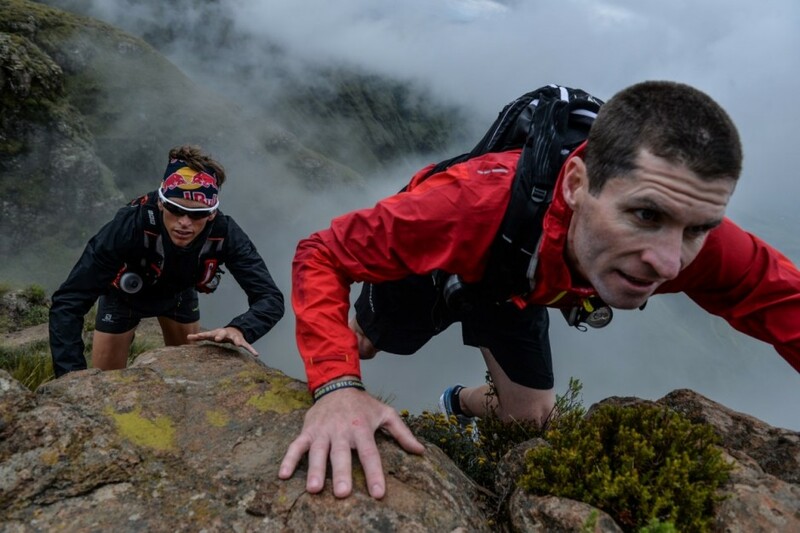 Look at Ryan Sandes, he lives at sea level and is one of the best high altitude mountain runners in the world. Running distances over 100km and 200km is no joke. How do you recover from those runs? I seldom take a break completely. I will try get back to easy jogging and stretching as soon as possible or even cycling if I am a bit broken 🙂 Normally after two weeks I am good to get going again. From Adventure Racing, Rogaine or something like the DGT where the terrain and the sleep deprivation is very taxing on your body it can take more than a month before I get in the swing of things and am often forced to take a complete break for a week or two. As a lot of my adventures include going through the nights and only eating what I can carry I try to normalise this as quick a possible afterwards. Not always that easy with having to catch up on work immediately afterwards. How do you manage a work/life balance while putting in all the hours needed for training? It’s not always easy but certainly worth it. I manage an Audit and Advisory firm and work long hours. I enjoy this as well 🙂 I don’t really believe in balance and try to do everything 100%. I think the secret is to always give your best in what you are tasked with at that stage. We only live once – give it all you got! A good sense of humour is essential and I am super grateful for a supportive wife. Where are you headed in 2015? What goals have you set for yourself? 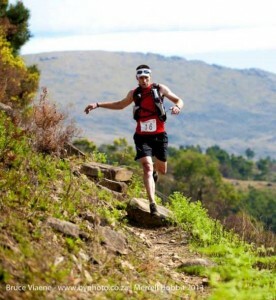 I love mountain running and is involved in the bigger scope of the sport as well. I am excited to attend an international Salomon conference soon. I will form part of Ryan’s support crew at the Western States 100 miler, in California in June. 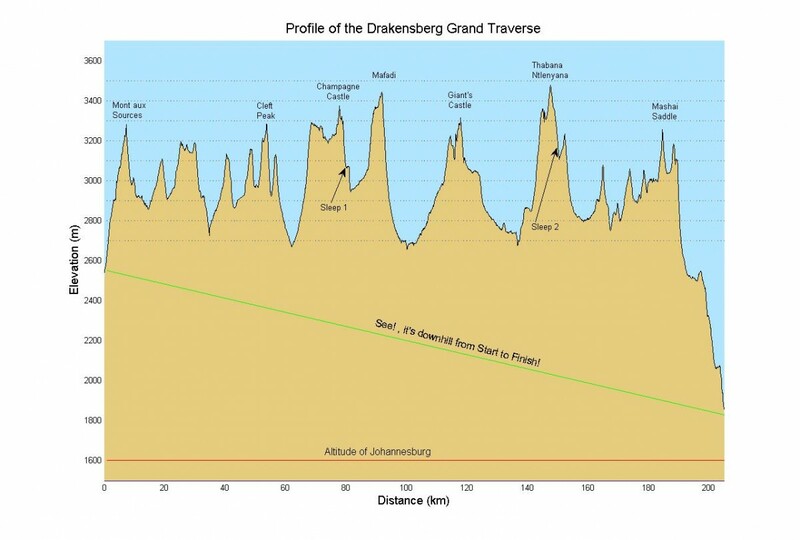 We are looking at some exciting new mountain projects in between and my international focus race for the year will be the 173km Grand Raid Reunion in October. You also have a keen interest in cycling and climbing, and were involved in adventure racing for many years. Is this something you still pursue? I still love it all and keep close contact with my friends in Adventure Racing, but due to time constraints I choose to focus on running and climbing that will most benefit my mountain running projects. I still cycle with Angela my wife who is a keen cyclist. You’ve got some great sponsors backing you. How have they helped your career? 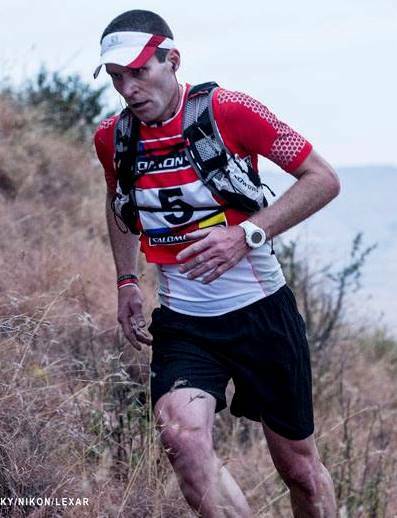 I am very fortunate to have the great teams of Salomon, Fury Ford Fourways, Suunto Wriststop Computers, Powertraveller, Outdoor Tech, Spot Satellite Trackers, Cebe Eyewear, Petzl Headlamps, Mc Alkion Water, Llama Bars, Roast Republic Coffee, Gu Energy and Hatfield Cycles backing my dreams. The material assistance is certainly invaluable, but it’s having these passionate people believing in our dreams, and being excited with us, that really enables us to take things to the next level! 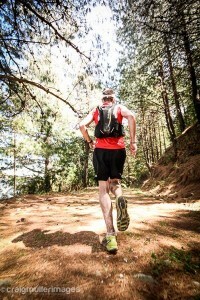 What advice would you give to aspiring competitive trail runners? Absolutely allow yourself to DREAM BIG – and then GO LIVE IT! The rest will fall in place.